Jay Lake’s Process of Writing is officially out! Of course, we need to have a contest for it. Link this page on Facebook, twitter, or your blog between now and September 30th to be entered into a contest to win the last signed and numbered limited JayWake hardback edition of Jay Lake’s Process of Writing, complete with Howard Tayler’s artwork. 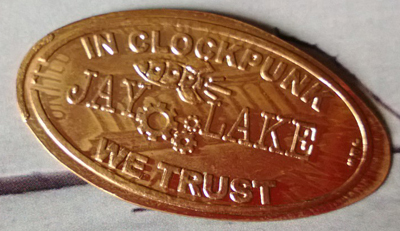 You will also receive a JayWake pin and a JayWake smooshed penny. This contest is not limited by geography. Just released from @ApocalypseInk - @Jay_Lake’s Process of Writing. Win the JayWake edition! http://bit.ly/13fXDMg #contest RT to win. What will you win? We’re glad you asked. Take a look. 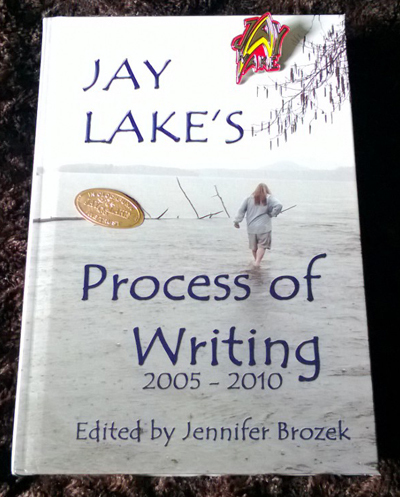 Hardback limited JayWake edition of Jay Lake’s Process of Writing. #47/50 and signed by Jay Lake. The smooshed JayWake penny gifted by Janna Silverstein. 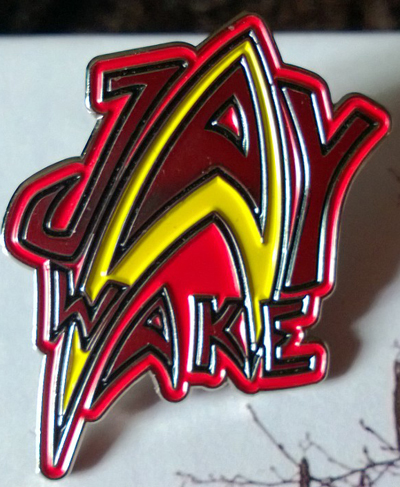 The JayWake pin designed by Howard Tayler and gifted by Minerva Zimmerman. Apocalypse Ink Productions is pleased to announce they will be publishing the Sheynan trilogy—an urban fantasy series about a secret war between factions of shapeshifters—by Dylan Birtolo. This trilogy includes re-mastered editions of the series first two books: The Shadow Chaser and The Bringer of War. 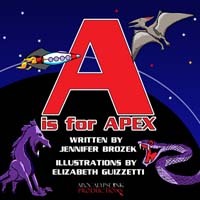 After the third book is written, AIP will offer an omnibus of all three books. Learn more about Dylan Birtolo and his writing at his website www.dylanbirtolo.com. We hope you join us for the new series.